In this project, support for implementing a water supply system has been extended to 25 habitations. The project will ensure a supply of protected piped water to a population of 5321 distributed between 1043 families. Gram Vikas’ interventions start with gaining 100% consensus in the village, which is a non-negotiable requirement. It ensures the whole village benefits from the development process, irrespective of class, caste, or gender, as well as improving the effectiveness of the programme. Even if one family continues to defecate in open spaces and wash in water sources, it will have a negative impact on the entire village. Once every household is committed to the project, then the building of the toilets and bathing rooms for each family in the village begins. Every village is required to raise a corpus fund, of on average Rs. 1000 per family; the interest is used to extend the same facilities to new households as the village grows. Construction of the water supply does not begin until every household has completed the brickwork of their sanitation block. The water supply system acts as a “carrot” for completing the toilets and bathing rooms. 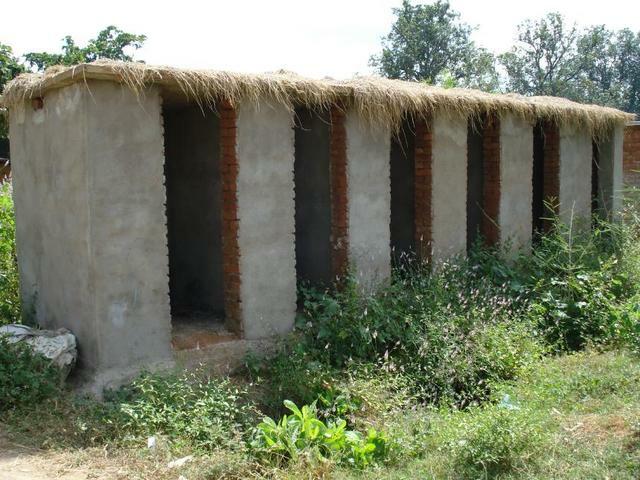 In addition a lot of effort goes into motivating men, women and children to use and maintain the toilets appropriately. Good hygienic habits are taught; hand washing and nail cutting, as well as maintaining the cleanliness of village surroundings. At the same time, Gram Vikas builds the capacities of the village institution to manage their sanitation and water supply systems. 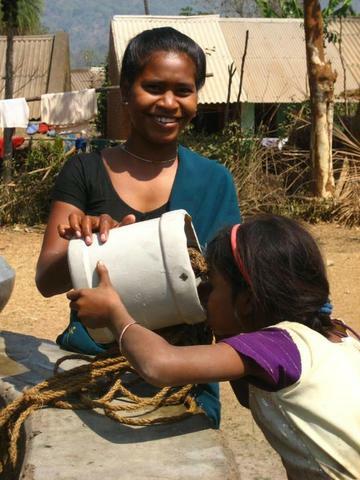 Wherever possible, Gram Vikas leverages funds from the government for the piped water supply. However, recent changes in government policies have led to greater control of the funds and implementation by the departments, leading to lengthy delays. Some villages have been waiting for nearly two years for funds to be released in order for them to construct the water supply system. This project with Charity:Water enables villagers in 25 villages, some of whom have been waiting a long time for their water supply system to realise the dream of every household having a supply of potable, piped water to their kitchen, toilet, and bathing room, and all the benefits it brings. These include removing the daily drudgery of water collection from women’s and girl children’s lives, enabling women to engage in other income-generating activities, or simply having time to themselves, as well as giving girl children the time to attend school. The villagers are still lagged behind transportation,communication,irrigation facilities affecting livelihood sources. Water scarcity was a problem of generations. Village ladies for their daily work like bathing,collection of water for household purpose were going to long distance & some were using dirty water in the pond . Women were suffering from gynecological problems due to this. They were very much awkward while taking bath in open places or defecating outside due to water shortage. Small children in the family were suffering from fever, decentry,scabies & likes which hampered their school attendance. Senior members in the family got wounded as long distance walk was tiresome to them. 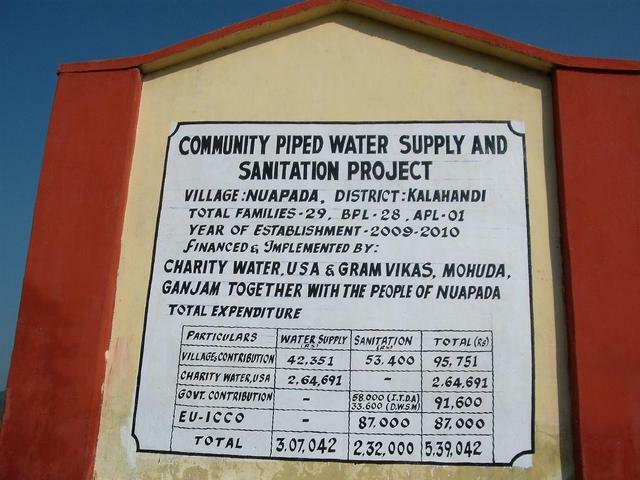 Gram Vikas & Charity Water's collaborative effort bring joy to all villagers. 24 hrs Supply of water to each household bring behavioral changes among villagers. Women now guard their privacy & dignity having access to water to their bathrooms. No children stay unattended to schools due to illness. Senior members can relax & attend their personal cleanliness without the support of other members. 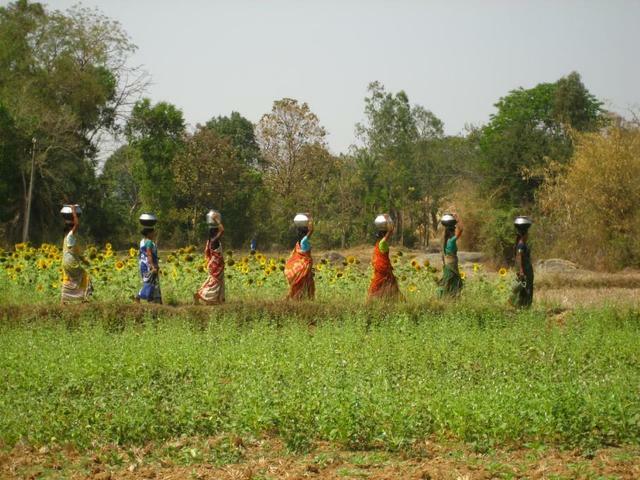 Though irrigation is a problem village ladies can grow nutritional vegetables in the open places by utilising the waste water of the family. They cherish the new privilege & aspire for more such community development work. During my short stay with Gram Vikas I was fortunate to go into the field and visit several villages where the MANTRA programme was being implemented. I really enjoyed getting to ineract with the communities, seeing how all of the aspects of rural managment are played out in the lives and day-to-day functions of communities, and eating the delicious food the villages prepared for me and the other student visitors! It was a great experience. I completed the following reports along with a fellow student for my coursework at a management school in Orissa and for the benefit of Gram Vikas. The document will be beneficial in gaining a proper understanding about how the project was implemented in the village. Learnings can be used in new project implementations and would help us to avoid the mistakes and follow the best practices employed in this particular instance. It maps the entire life cycle of the implementation with references to all the stake holders. Safe drinking water near to the home and adequate household sanitation save poor rural people time, reduce illness and increase sense of well being and dignity. Gram Vikas, a non governmental organization has identified the lack of access of safe drinking water and proper sanitation facilities as being one of the root causes of mortality and morbidity among rural people. Gram vikas encouraged villages to agree to a pact water and sanitation for every household in return of labour and percentage of the costs. Fundamental to the process was a growing sense of empowerment, so that once the building was finished entire village were ignited to drive their own development projects. Identification, Implementation and Completion these three phases are covered to introduce MANTRA in Tarda. The aim of the entire activity is to map the events and the staged through which the project implementation has gone through in the village of Tarda. During this activity the people of the village were interviewed on an individual basis and we also conducted focus group discussions to look out for the perception of the villagers on the project. The stake holders of the project like villagers, the Panchayat, staff from Gram Vikas were questioned about their role played and the document is a result of what they said and what they said and what they experienced. There were certain difficulties that we came across while going through this process. December being the month of harvest the villagers was very busy in harvesting the paddy and taking it to the rice mill. Apart from the village being a Christian village they were all getting ready for the Christmas festivities which made them even more loaded with work than usual. All the villagers would leave for the fields early in the morning and they would return only after 4 PM. The women of the household also worked in the fields and they would come back and busy themselves with the household work. The village of Tarda is located in Guma block under the Gajapati District. The total number of households in this village is 41.The population of the village is close to 120 with a male to female ratio of approximately 1:1.The people primarily belong to scheduled tribe and speak Soura. The landscape of the village consists of mountains as well as low lands. There is almost equal number of families residing in mountains as the hills. The main road divides the village as there are houses on either side of the road. The village was very homogenous when we looked at the caste system there or on the religion. Christianity is the only faith prevalent and most of them belonged to scheduled tribe. The present generation of the villagers too are illiterate and are majorly involved in agricultural activities. But these people are realising the value of education and have started sending their children to school. There was a marked difference between the way girl child and the boys in the family are treated. Agriculture is the primary occupation followed by daily wage labourer. Paddy is the major crop and monocropping is followed due to paucity of water. Cashew nuts and maize are grown as cash crops on the mountains where the villagers own land. When rice is not being grown, there are other types of pulses which are grown. Besides this all households own a kitchen garden in which they grow seasonal vegetables like bottle gourd, chillies, ladies’ finger, brinjal and spinach. Goat rearing and poultry also forms a part of the family’s income. With forests all around them, collecting various types of flowers and seeds also forms a part of their daily activities. There are a canal located almost 30 minutes on foot that they were used to use as a community water resources. Then thru a government scheme a well was build nearby but at the time of summers the well used to dry so another well was built few years ago. A church is located right in the heart of the village which forms the centre of all the social activities in the village. The villagers migrate seasonally to places outside the state like Mumbai, Bangalore and Arunachal Pradesh to find work. They work as daily wage labourers and they earn around 200 for a day’s work if they are unskilled and 400 if they are skilled masons. The migration season starts from January after the harvesting of paddy is done. They come back to the village when it is time to sow the seeds that is around the month of June. The village had previously been through some sort of coming together but the way they did for the sanitation project has entirely changed the way they look at themselves and their abilities. The entire thing has given them a confidence and a pride which they had lacked before. It was an endearing sight to see the villagers proudly showing off their bathrooms and toilets. Then comes the big question how this was programmed different from many other programmes which were implemented in the village. It all started when officials from Gram Vikas came into the village to start their programme aiming at providing proper sanitation facilities and safe drinking water at the door step of each and every household. This area of Orissa which falls under Gajapati and Rayagada district is majorly a dry area. 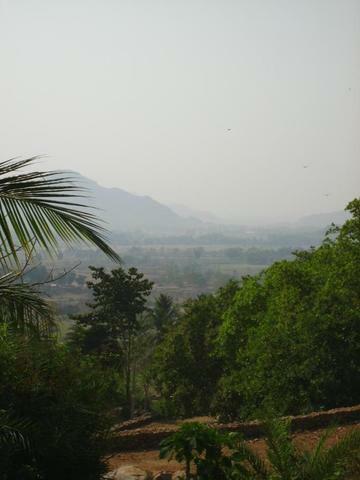 The Eastern Ghats range provides very less moisture to come into the region and there are no major rivers flowing. The source of water may be some small mountain stream, a well or a canal. These sources of water were used for all sorts of purposes. Digging a well is also very difficult in this region and their is no guarantee that one will find water. This is due to the rocky terrain which is difficult to penetrate to reach the water table. So the villagers for generations have used the water sources for all sort of activities like washing, bathing ,defecating, washing animals and last of all drinking too. Due to this these people were always open to various disease causing agents and were infected quite easily. The situation was even worse in summers when even these water sources dried up and only water holes were left..So any type of efforts to include these people into the ain stream community would have gone waste without providing them with proper sanitation facility and safe drinking water. At the beginning when Gram Vikas came down the people of the village were very sceptical of the ideas these people talked about. It was like a dream for these people to think of water inside their homes. So the very first task was to make these people believe that this was possible and has been done elsewhere. As a part of this activity some officials of Gram Vikas went there and show them how the water can be flown thru the pipe and also trips were arranged for people to visit some nearby villages where the project had been successfully implemented. When these people saw the changes that have been brought about in the villages, they were very eager to start the same thing at their own homes. After this all the meeting were very enthusiastically attended by the villagers. Then came the major task of involving all the households into this project. According to the project norms, even if one family doesn’t agree to the project Gram Vikas will withdraw from that village. The villagers of Tarda are united under the church. They all are very devoted people. So the church has kept them together as a community. So taking a unanimous decision for them as a community was not difficult. So all the families were easily convinced of the programme. After all the families had consented, it was time to form the village committee. The village committee would consist of one member from each household in the village. This committee will be headed by a core committee which will consist of a president, secretary and a treasurer with few other members. The core committee of Tarda had 10 members with 5 women and 5 men. At the beginning the women of this village were shy and very withdrawn into their shells. It was difficult to get them out of their houses and make them speak their minds. Gradually with persuasion from the village elders and the ward member, the women came into an active role. The women of the village themselves say that the entire activity of Gram Vikas ahs not only provided them clean drinking water but also cleaned their minds of the fear and apprehensions about their abilities. It has given them a new found confidence and they have finally found their tongues in the village meetings. The village committee meets at the church and decides that to start work they need to contribute Rs100 from each family. Some families readily give away that money where as there were some families for whom affording 100 bucks at a time was difficult. These families were helped by other households and they repaid back the money to the concerned person over a period of time. This money went to the village fund which was used to get masons for training and procuring few instruments that would be needed during the construction. According to the plan, the work will first start with the construction of a bathroom and a toilet for each household. Every household could decide where it wanted to have this constructed. Later when all the families have finished with the construction, work will begin for the construction of the tank and bringing water down from the source. Another major work was identifying the source and its feasibility to be used all the year round. Work began for the construction 1.5 years back. There were groups which were formed and it was decided that work for all the households will begin simultaneously. Before the actual work started there was a mason training which was provided to the male members. Of the family. The men folk of the village attended this training and learned the skills of constructing a new building. Once the training was over, work was allocated to each group of people. According to the norms, the villagers had to provide land, bricks and labour for the construction. Other materials like cement, pipes and the pans will be provided by gram Vikas. The villagers perfectly understood this arrangement and prepared themselves to provide labour according to this. As a part of the plan, people divided themselves into small groups who would work together to bring up the bathroom and toilets for a few households. When work started one group of people started from one side of the village. The first task was to dig up the foundation. So this task was completed for all the households at the first go. Later they build the bricks in the village itself. It was done by each family of its own. 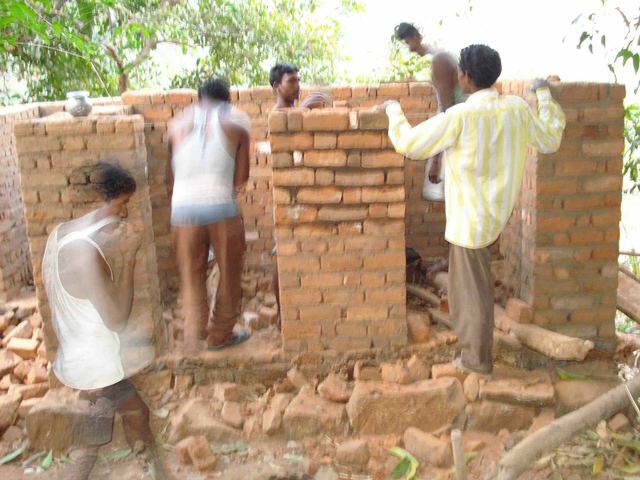 Women took a great initiative to construct the bricks, carrying the raw materials for the toilet buildings. When the bricks were done, they would stack up these up with help of mud and later plastered it with cement provided by Gram Vikas. In the mean time a trained mason would fit the pans and connect the pipes to the drainage. The asbestos sheets for the roof were also provided by Gram Vikas. When all the bathrooms were done, then it was time to work for the water tank. Constructing the bathrooms and toilets took more than a year to complete. During this time the water source had been identified. 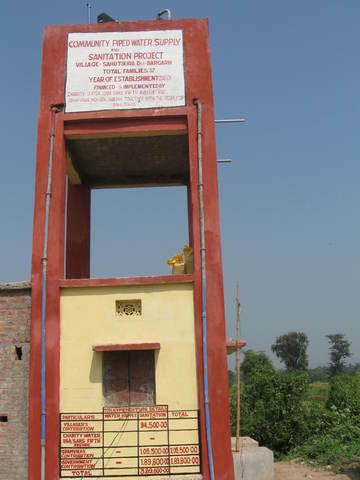 There was this main source which was not adequate to provide water for the entire village. So they had identified another source .As the water in these streams flows from a very high altitude, the force exerted by it is large. Water from both the streams get collected in single tank from where it made to flow down by gravitational force and then climb up the tank build in the village. The force of the water is high enough to climb up the tank and no pump is required to do so. From the tank water again flows to individual houses. 1. 100% Participation from each households of the village. 2. Practical demonstration has been done by the members of Gram vikas to take the villagers in confidence of this project. 3. Mason training had been provided to the villagers to create a skill set for their livelihood. 4. Women participation is encouraged; women from all the households had contributed by physical labour as well as involve themselves in discussion. 5. Regular cleaning of the toilets is visible. 6. Whole Gram Vikas project made the village like one happy joint family. The women of the village were shy folks. But when we observe closely, there is no role disparity between the men and the women in the village. One can see women working on fields and doing every other work that the men are doing. Similarly men helped in the household work including cooking. These women live their entire lives on these mountains and rarely step out. So before the project was implemented they never thought that sanitation is a problem. They had to bring water from far off places many a times in the day. When we talked to the women, they seemed quite fascinated by the changed that has been brought about. Earlier a lot of women and girls used to complain about back aches due to carrying a lot of load on their heads daily. Now due to the intervention, the amount of labour they were doing has been reduced to almost half. One can see lines of pride on the women’s face when they talk about their bathrooms and toilets. They have planted flowers plants outside their toilets to decorate it and clean them every time any one uses them. One old lady interestingly pointed out that her toilet pan is always whiter than her teeth. The project owes its success to the women of the village. They were a major driving force in most of the families to get them completed. Apart from that these women have worked as much as the men folk. Right from digging up the earth for laying foundation to fixing the water tap, they have done it all. The village committee president is a woman. She is a soft spoken person who seemed to have led the entire project quite efficiently. The villagers had intelligently selected a woman to lead because most men go out of the village for half the year in search of jobs. The first challenge that the villagers faced was that of convincing the entire population about the feasibility of the idea. People were sceptical of the fact that water could come down from the mountains into their homes. Later in the process, there were families in which all the male members would go out to work in the cities. This delayed the activity of building the bathrooms and toilets. At the time when people in the village had finished constructing the walls of almost all the bathrooms, there was a huge storm which came and broke down all these walls because they were still not strong enough. So almost 6 months worth of work went waste and they had to start all over again. This delayed the process further. Some also pointed out about the economic challenges that they faced like arranging money to contribute to the fund or making bricks for their own household. In families where there were no male members this was a major problem and the villagers solved this problem by helping those families with labour and some monetary help. Another basic problem that the village faces is illiteracy. Out of all the people of present generation residing in this village there only a handful of the people who have had some proper education. •Women have to spend less time in fetching water and now are thinking about ways to effectively use this time. •Saves the villagers the effort they had to put in everyday to go to the river or the well to take a bath. •Drinking water is clean and safe. •The village has developed a strong feeling of oneness after they have successfully completed the project. •Women now play a decision making role along with men. •People have started thinking about other ways in which they can improve their way of living. •With the water that over flows from the tank they can now irrigate some of the farm lands which lie nearby. •As women spend less time in fetching water they are now using this time in working in the fields and doing other productive work. •Availability of safe drinking water reduces the frequency of occurrence of diseases. Hence expenditure on medicines and hospital care has reduced. The villagers after getting water in their homes are now looking forward to get electricity. They have already chalked out plans what they will do when they have electricity in the village. Some were talking about lighting a part of their streets so that it becomes easier to travel by at night. But the major change that will happen will be in the pattern of agriculture. With electricity coming in theses people have decided to pump up the water from a nearby mountain stream which is perennial and use it to irrigate their lands. If they can have access to this water they will be able to grow three crops a year rather than one that they are growing now. Apart from that the women of the village have formed small SHG. They are yet to receive the pass books from the bank. In this SHG they plan to look out for other sources of income available to the women and concentrate more on ways to develop the studies of their children. Currently the midday meal scheme of the local primary school has been managed by this SHG. 1. Providing training and demonstration to the family members particularly the children about washing their hands after using toilets. 2. Awareness building program about importance of closing the tap after use to save the wastage of water. 3. People now have more time to spend for some productive purpose; Gram vikas can start a sustainable livelihood model (for e.g. ; ‘Kaju’) initially by providing training and infrastructure cost and later on on a profit sharing basis. 4. Maximum of the people and children suffer from malnutrition though they have plenty of food grains of their own so awareness regarding health and education is required. 6. Strict monitoring and penalty collection. ‘Nintam…banshapo?’(Hi. How are you in Saura), if you ask this question to any villagers in Anjerbasing they will smile and answer you proudly ‘bansha…sintam Gram Vikas’ (we are fine. .thank you gram Vikas’). A pride , a sense of dignity, a sense of united community , equal women participation, good hygiene of the family members specially the children these all are the evident changes that Gramvikas brings to the life of the people. Whether water will be available through out the year, whether there will be shortage of water in summer, whether the water supply pipes will be last for long keeping all these in minds we can say a progressive journey has been started to bring change into the lives of the rural people. I arrived in Jerling on 15th December, with two other Gram Vikas volunteers. The villagers were very welcoming and we stayed with a family for 2 nights. My task was to interview the villagers regarding the impact of Gram VIkas' Water and Sanitation Program. The villagers were very enthusiastic about sharing their experiences regarding the impact of this program on their village. Overall, they were very grateful and happy. Moreover, they felt very priviledged to have water and sanitation facilities in their village. The first night we spent in the village, we have a handful of villagers who spent the entire evening with us; and we had some very interesting conversations. Before going to bed, one lady asked if we had if we had pillows and blankets. We told her that we had a sleeping bag to sleep in, and that it would keep us warm for th night. She then left us to go back to her own house. As we were preparing to go to sleep, we had nearly 20 villagers come into our house because the lady told everyone about our sleeping bags! They were so curisou about them that they wanted to come see it for themselves. In fact, they even asked us to lie in one just to see what it looked like. The second night, we lit a bonfire and a villager brought a couple handfuls of cashews which he had harvested in his farm. We then roasted the cashews and eat them. This was a very memorable evening as we spent some quality time with the villagers and got to know their village history better. For instance, the village elder shared with us some village folklores and also told us about how the village came into being and how it derived its name. On the third day, I spent time with the children who taught me some of their own language (Soura). They taught me how to count till 10 and also taught me how to greet other's in Soura. In turn, I thought them a little English. Overall, the villagers were so hospitalble and welcoming. It has been only 3 days since I returned from Jerling and I miss its people and the village. I definitely intend to return to the village one day. During this period, in some villages where there was difficulty to convince the government department, matters have been smoothened and government funds made available. In some instances, conflicts in villages have caused temporary delay in the implementation. 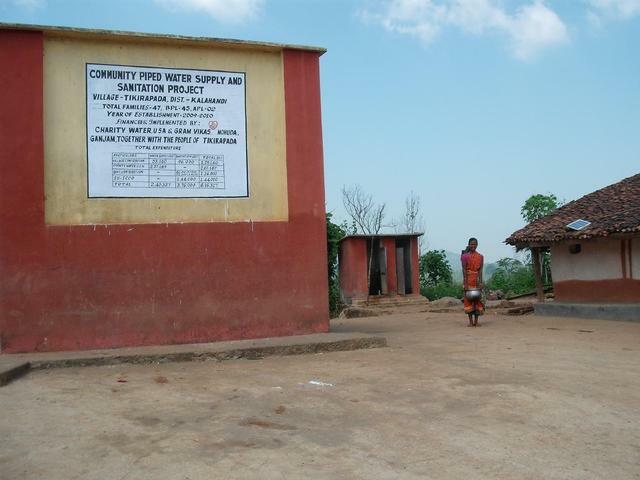 Therefore some villages that were severely delayed and assigned to the first round of funding from Charity:Water, were swapped with villages from this second round of funding, which were progressing very well. Life in these villages prior to the water and sanitation project was very difficult, with very high levels of water-borne diseases resulting from dependence upon ponds and steams, which in addition to being used for drinking water are also used for washing, both humans and cattle. 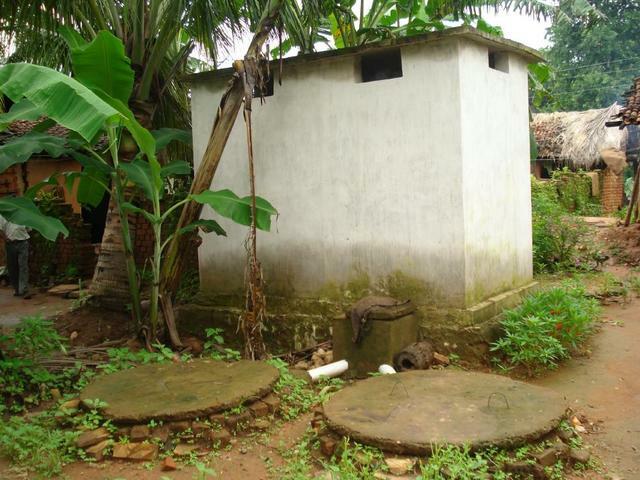 Open defecation is very common practice in Orissa, causing further pollutants to the water-sources. Women are also particularly badly affected by the situation. Due to a lack of privacy, women are often unable to wash properly resulting in health problems, especially gynecological. As well as the lack of privacy and health implications, it is the women’s responsibility to collect the household’s daily water needs, and in many villages it is not uncommon for women to have to spend 2-3 hours collecting water every day. For many families, the girl children are also involved, either collecting water, or caring for younger siblings, therefore reducing their opportunity to attend school. Incidences of diseases, especially waterborne diseases are used as one of the key indicators to assess the effectiveness of the MANTRA programme in villages. Studies of Gram Vikas have shown that on average the number of cases of water-borne diseases reduces by 80% after implementing MANTRA. The programme is carried out with full participation of the local community so that the responsibility for implementation and post implementation is within the community. The basis for this is formation of local institutions in the villages. In all of these villages, a General Body is established, which includes the male and female head of every household. The General Body is responsible for general decision making in the village, as well as electing an equal number of male and female members (usually 12 in total) for the Village Executive Committee (VEC). The Village institution is also registered as a legal society, which therefore allows it to leverage government funding. The committee is responsible for the day-to-day implementation and functioning of the water supply system. Their duties include, drawing up norms and rules in consultation with the general assembly of the village with regard to village cleanliness, use of toilets, keeping the toilets clean, and controlling the wastage of water. Gram Vikas believe people have the right to take as much water from the natural environment as can be recharged, therefore ensuring sustainability. A number of different water sources and water supply systems are used depending on the villages’ specific resources and situation. Water supply sources include dug wells, bore wells, and tapping perennial springs. To transport the water from the source to the overhead tank, systems include a variety of pumps as well as using a gravity-flow system. 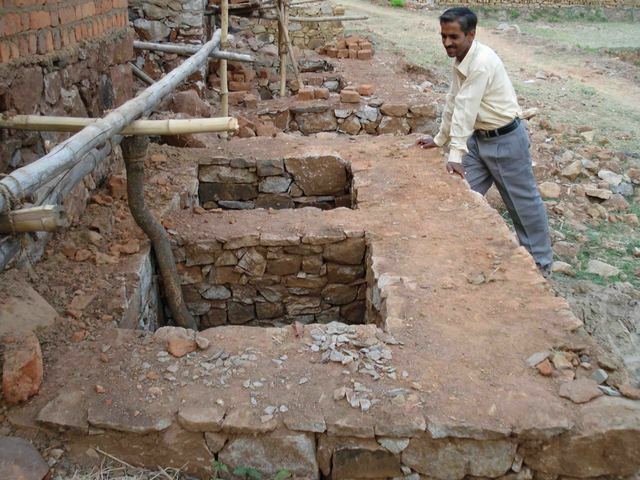 Where the topography and other conditions allow for it, Gram Vikas’ preferred method is to either tap a perennial spring, or where this does not exist, establish a sanitary dug-well and transport the water via gravity flow. This removes the need for paying high electricity tariff for pumping, which villages often cannot afford, and in addition the gravity-flow system has a limited negative environmental impact. •	Laying of the main pipeline from the source to the water tower and the distribution lines and installation. The current construction status of the water supply in villages being reported against is outlined in table 2. Three villages in Gajapati district comprising of 199 families were selected for establishing sanitation infrastructure for 100% of all the families. All the families have completed the construction work; only the colour wash of the infrastructure is pending. In keeping with Gram Vikas’ principles of cost-sharing, the community must contribute in terms of collecting local materials such as stone and sand, as well as supplying free labour. In all villages a corpus fund of an average Rs.1000 per family has been collected as well. Of the total cost, each family has contributed over 50% in the form of materials and unskilled labour. Gram Vikas has supported for the procurement of external materials like cement, toilet pan, door etc. In all the three villages work on water supply systems have been initiated. Laying of the main pipeline from the source to the water tower and the distribution lines and installation.